So my cuz and I were listing all the things we would do if we were race directors (basically create the perfect race, nbd), here are some of the magical things we would implement to enhance the race experience. I'm sure you all are jumping at the opportunity to sign up for our race series. 1. Provide real bathrooms at the start and on the course. No more of this ridiculous portapotty nonsense. Nothing is as degrading as having to use the portapotties before the race- and you know what- we want this to be a pleasant experience all the way around- so real bathrooms- all along the course. And enough bathrooms so that there is never a line. in a portapotty line??? use that time for a pre-race photo-opp with attractive backgrounds. 2. Pause button to timing chips. So you had to stop to use the bathroom? Absolutely no problem. We wouldn't want this to affect your time... this could be a PR! Make sure to hit the pause button as you head to the bathrooms- we want to only count every minute that you are striving towards the finish line. 3. Bottles like the elites for all the runners- fast or slow. Nothing like being waterboarded (by yourself) during the race to make you scared to take water at the next aid station. We hate it when we get water up our nose simulating that drowning in motion feeling- so why not eliminate that altogether and do bottles with whatever hydration solution you have been training on- we want this to be the OPTIMUM experience for you. If it's good enough for Meb- it's good enough for you. 4. Photographers at mile .1 of the course. Do you know the definition of unnecessary cruelty? It's having race photogs at mile 26.1. I hope you didn't think that was our freshest moment out on the course- or that that was the best face we could give. Catch us within 5 seconds of the gun going off and we can really shine. And while you're at it- why don't you LOOK at the pictures before you post them. Would YOU want that picture going live? No? Well - we probably wouldn't either. Seeing ourselves hunkered down at the finish line still causes nightmares. this fresh look cannot be replicated at mile 26- trust me. 5. Race starts within 5 minutes of getting to course. Who wants to wait? Not I. Let's do away with this painful waiting in the freezing cold and get this show on the road. We would time it perfect so that your body isn't convulsing and your feet aren't numb before the gun even goes off. And for those 5 minutes before- let us provide you with blankets and some hot cocoa. It's the least we could do. 6. No walkers in the first corral... or second corral... or third corral. Basically- we would herd all those walkers together instead of placing them directly in front of elites... or anyone trying to set a PR. 7. Always give out Tiffany's at the finish line. Nike does it right- for sure. Jewelry for a job well done. Heck- even for a job just done- sometimes it's not even done well but as long as you can stagger to the finish line in one piece- they hand over some Tiffany's. If only this happened at EVERY race. Let me know who is down to experience this sure to be race of a lifetime!!! Soooooo this weekend was decent for training- 6.5 miles on Saturday and a tempo/long run on Sunday of 12 miles- not magnificent but considering it was 81 degrees when I got back into my car, I considered it a win. It's been a LONG time since I have trained at the Lake (since the weekend before Cottontail- about 2 months)- after having religiously gone every Saturday and Sunday since the beginning of the year. The best part of my Sunday morning was several of the regulars stopping me and asking me where I had been- so nice to be missed. I told them I was back for GOOD to train because Lord knows with how that tempo went, there is no race I need to be doing in the near future- just need to log some good training miles. I'm happy to finally be back to some semblance of a routine. 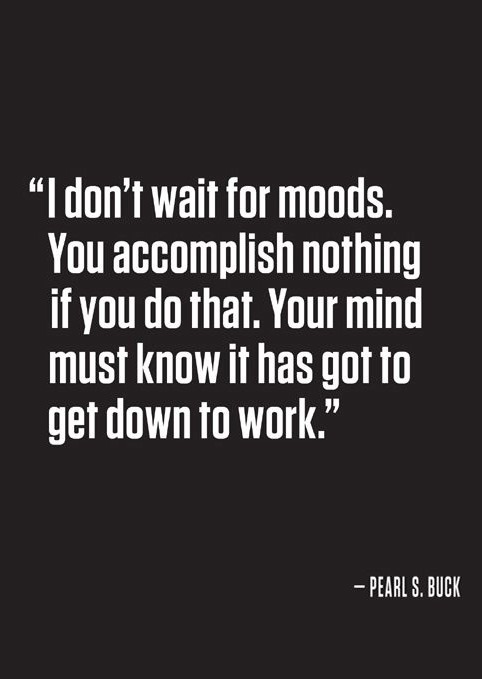 Love this- if you set your training down as a habit - you get it done- good or bad mood. That lil Sunday tempo was done even though I was feeling all kinds of exhausted from the week and didn't feel like following up a tempo with a long run.